It’s important that all business owners make sure that they have complete ownership of their site, social media accounts, ad tools, and any associated collateral. Unfortunately I’ve encountered many situations where business didn’t know what they did and didn’t own. This video will cover all the essential items you should always “own,” especially if you’re leaving a marketing company. Hey, this is Shaheen over at Web Upon, and this is episode number 4 of Chalk Talk Thursday. 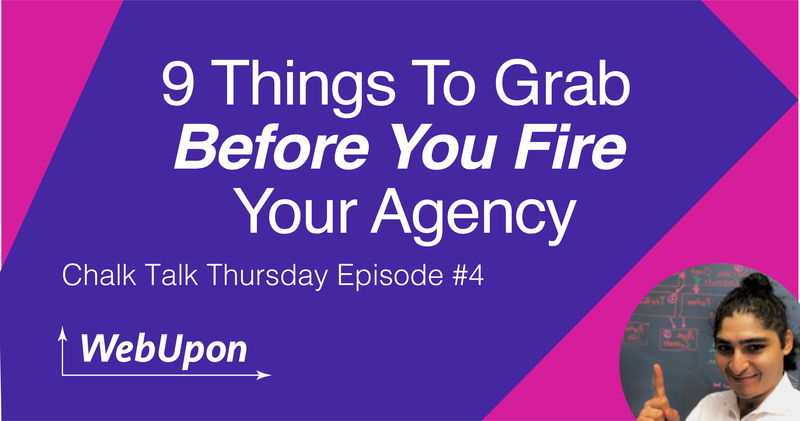 Today I wanted to cover how to leave your marketing company, or nine things to grab before you go. Now, no one expects a marketing relationship to turn south or go sour as things proceed, but it’s something that can happen, and it’s very important that every business owner has these nine things handy either before they start a major site redesign project or any sort of marketing, or if you’re leaving a company, these are the essential things that you should really have a handle on and make sure that you grab before you head out the door. So the first thing you really want to think about here is your domain registrar. Now, I’ve encountered some horror situations in the past, where people leave companies and they find out that they don’t actually own their domain name. Now, it is possible to get your domain name back, especially if you have trademarks associated with your brand, but it’s a pretty lengthy process with a sort of amorphous organization that no one really knows who runs, and it’s really not worth diving into, because you as the business owner just want to own your business name. You should always own your business name, so be sure that you own your domain registration. This is usually done on a company like GoDaddy, but any host will also allow you to register a domain, and there are tons and tons of companies that do it. So not everyone keeps track of this. Most people know to own their own domain or to make sure that they at least have ownership of it before they’re out the door, but it’s very important to make sure that you own your own domain name. The second thing I would say is hosting service. Now, your domain registrar is what people type into a URL search bar, and that gets converted into an IP address, which is on a specific server. So this is all happening behind the scenes, but your actual domain registration and the server that you’re using to actually host and execute your site for the end-user are separate services. So you want to make sure that you really own whatever that domain server or service is and that you’re able to log in there. So you should have a developer on your own team or someone that you trust not associated with the company that you’re leaving that’s able to get in there and assess and make sure that you actually do have ownership and control of your domain server. I’ve also seen some people, where their current dev company basically invoices them for the hosting that they have every month, so be sure that you actually own the hosting payment structure, right, so that your credit card information’s actually associated with it or that it’s not just free-floating and randomly after a year chunk when you initially signed up, and let’s say you fired the company over here, you’re basically just like, “What happened to my site?” one day. So make sure that you own the server and that you own the name associated with it. The third thing is CMS access. So make sure you actually own the back end and that you have administrator or super-administrative access on that, and that you’re able to control all user flow, people that are coming in and out of the actual CMS. So one really big red flag that I’ll see is some people will build, say, a WordPress site for client, and they won’t actually ever give them admin access to the site. So you as the site owner need make sure that you own the admin or super-admin access on the site, that way that when you leave, you can make sure other people aren’t getting in or can’t still get in once you’re actually out the door of your agency. So huge thing to keep in mind there, this is typically easily solved, as well, if you have hosting. So if you have control of the hosting server, it’s typically pretty easy to reset the actual CMS access. And again, if using a service that’s controlled, like Shopify or BigCommerce or Squarespace, whatever it may be, I have seen some weird setups where the agency is invoicing you as the client. So again, make sure that you’re actually controlling the billing and you’re the one that’s paying it at the end, so you don’t get a nasty surprise down the line. The fourth thing I’ll say is as far as PPC, make sure you have control of your accounts. Now, most business owners that set this up sort of have this in their control. I have seen the occasional case where people don’t own it, so another big red flag to look out for there. But make sure that once you leave the agency, especially if you leave on poor terms, that you unlink your account from their MCC, that way they can’t control anything, and that any associated admin users from that agency also can’t access your account. So again, hopefully you own it, and make sure that you unlink once you’re out the door of that agency, and make sure that your account is safe. And it’s also just a good practice generally to sort of clean this out every so often. I’ve seen some PPC accounts where they have contractors that they were working with five years ago, randos all over the world. They basically have access to your PPC account. And as we all know, you could have a rogue account or a rogue campaign that just spends way more than you want it to. So be sure to be on top of that, especially when you’re leaving a marketing agency that’s been doing sales and advertising for you. The fifth thing I’ll say is Google Analytics. 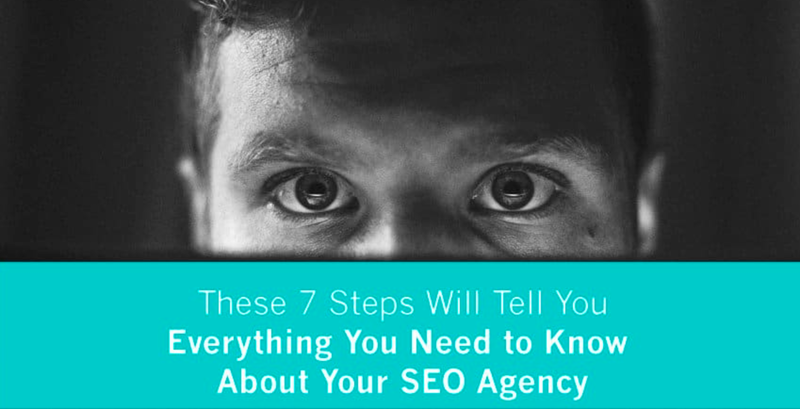 This is, again, another area where you need make sure that you own it, and generally speaking, if you don’t own it, if it’s in your company’s … their own view or property ID, that can also be a red flag that you might be dealing with a shady agency. Things can sometimes happen if you’re not technically in the know, where people set up a Google Analytics account for you, but you want to make sure that you are the end-user and owner of it. If it’s under their property ID, a view under their property ID, it’s extremely difficult, and you really can’t move the information over from that view onto a new one that you own. So be sure to own this out the gate, and also make sure that you have this admin control, so you can remove or add people as you like, whatever you want. Right? So the sixth thing I’ll say is social accounts. So big thing here is for Facebook page and LinkedIn pages, you have to add in a user onto your account. There isn’t a password to reset here. So just make sure that you go through there and that you remove any Facebook users or LinkedIn users that you don’t want, because in both platforms, you can run ads off of those things. The seventh thing I’ll say is other accounts, right? So Twitter, Pinterest, these kinds of social networks, will basically allow you to reset the password. It’s not really dependent on someone joining on as a user in the same way that Facebook and LinkedIn are. So again, here, once you leave, it’s good to just do a little cleanse and reset those passwords, just to make sure that everything’s safe and that there aren’t going to be any big concerns down the line. The eighth thing I’ll say is any other tools. This can actually be the hugest factor in your success down the line. I see this very frequently. One through six, most business owners kind of have these on lock. They own their social, they own their PPC, they own their registrar and the server and admin access. They have all those things handled, but they sometimes forget that there are other accounts and services that are associated with your site. So a really common example of this is WordPress extensions. Typically, these licenses will be sold out to a company, so it’s very cheap for me as an agency to maybe buy 30 licenses, but an individual license might be pretty expensive comparatively. So sometimes when you leave an agency, their license is associated with your site, and that may expire after a year, or in more nasty situations, they may essentially have that leverage on you. And this can be another red flag, as well. A very common thing that I’ve seen, unfortunately, in the past, which has become less frequent, is you’ll have design agencies, quote, unquote, that are really claiming the ownership of these site file pictures on your site, right? So it’s like, “If you leave us, you’re going to lose all the collateral. That nice slider image you love is just going to be out the door.” So it’s very important to be sure that you are sort of thinking about what’s going to happen with all these associated services. At the same time, maybe you have an email service or some other chat bot that the agency built for you, and it’s under their auspices again, and when you leave, there’s no one paying for it, and suddenly it goes south, right? So be sure that any tools you’re using, it’s good to check in with the rest of the team and make sure there isn’t anything you’re not thinking of that you’re currently using as an organization, and make sure that you guys have the ownership. And again, good idea just to do a cleanse and make sure that all the passwords are owned by your company. Right? Another thing I would say is export all your collateral. So this is a really good thing to ask for before you’re out the door. In case anything comes up down the line, you never know when you might need an Adobe Illustrator file or Photoshop file or some version of a dev site or a database export from five years ago. These things do come up, and it’s generally just good practice to get all the information, anything associated with your account, from your former agency. And any good agency will have the organized file that contains all of this information for all the years and months that they were with you. So these are the nine core things that any company, any business owner that’s leaving a marketing agency, should think of before they head out the door. Thank you. Hello & Welcome! 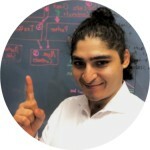 My name is Shaheen, and I’m the Founder and President of WebUpon. We’re a digital marketing agency focused on our customers and even more focused on our customer’s customers. I’ve been programming and executing digital marketing strategies for more than 10 years. The only thing that has stayed the same in that time is the need to innovate and test. We’re excited to share the latest information, perspective, and research from our work with you! Passion drives us forward. We love our customers, but we're obsessed with our customers customers. Our focus on numbers, analysis, and application of those insights will grow your business.